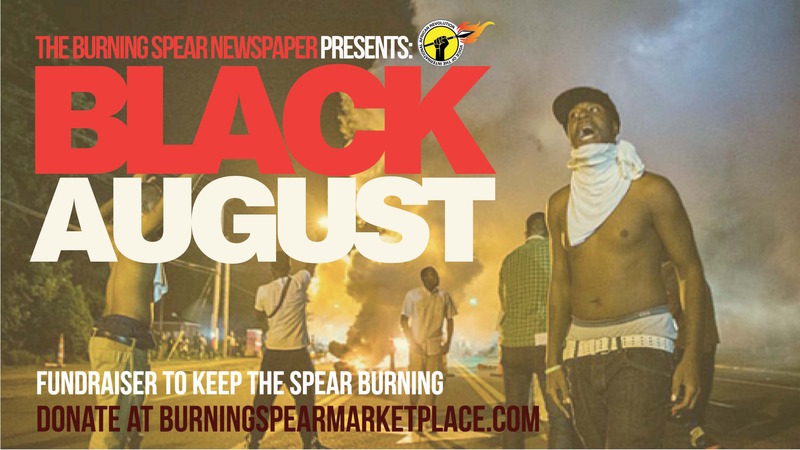 Make Black August 31 days of African resistance! Black August is a commemoration begun in 1979 by Africans in prison to raise up those who have died struggling for African liberation from within prison walls or in attempts to liberate Africans from the colonial prisons like George and Jonathan Jackson. August 9, 2017 marks 3 years since the police murder of 18-year-old Michael Brown Jr. Young Michael was murdered by Ferguson, MO copy, Darren Wilson. 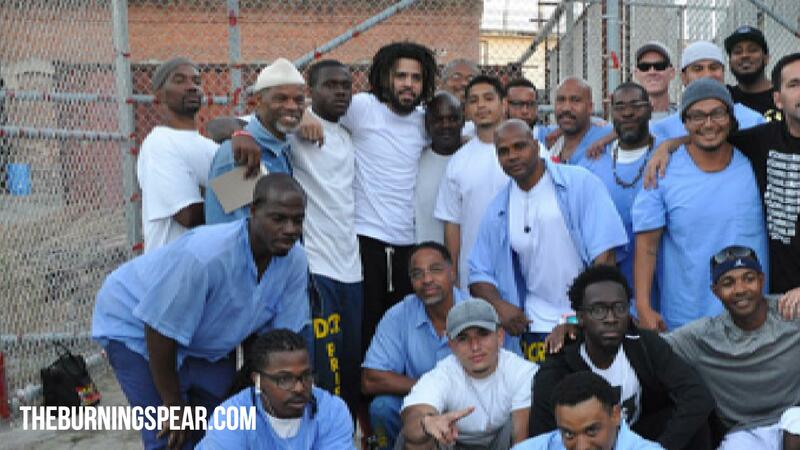 Rapper J. Cole visited prisoners at the birthplace of Black August—San Quentin State Prison—on August 1, 2017. Cole made the prison visit during the middle of the North American leg of his "4 Your Eyez Only tour." BlackAugust originated in the prison camp of San Quentin 1979. African prisoners would wear black armbands to remember the heroic, revolutionary actions of the #SoledadBrothers, the San Quentin Six, Jonathan Jackson, Khatari Gaulden and all our fallen Freedom Fighters. Today we raise up HarrietTubman as we celebrate Black August. 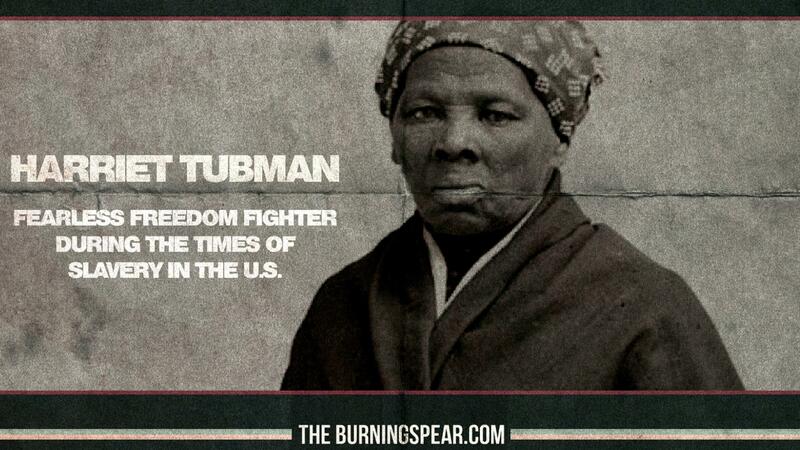 The Burning Spear newspaper’s “Harriet’s Daughters” page is dedicated to the fighting African women who continue the legacy of Harriet Tubman, who was a fearless freedom fighter during the times of slavery in the U.S.
Over the course of 10 years, Harriet Tubman made over 19 trips to the slave states of the South and helped bring over 300 Africans to the so-called “free” states of the North. Unfortunately, just bringing people to states where chattel slavery was illegal did not change the overall system of oppression that Africans were faced with throughout the U.S.
Now over 150 years later we pick up where Harriet left off. But today as African Internationalists we understand that ours is not a struggle “from slavery to freedom” as Booker T. Washington might say. Rather, it is a struggle from being a free, independent and proud people with our own power and our own land, back to being a free, independent and proud people with our own power and our own land.